This is the thinnest Gherkin I've made so far. 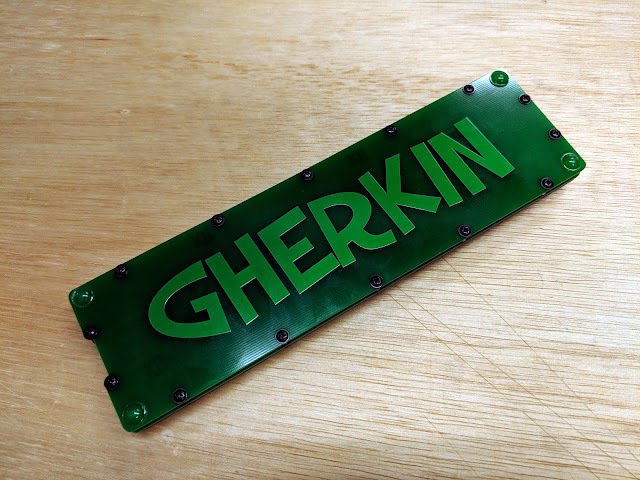 Gherkin ML PCB with a bottom from the Gherkin Pack. 4mm M2 spacers. 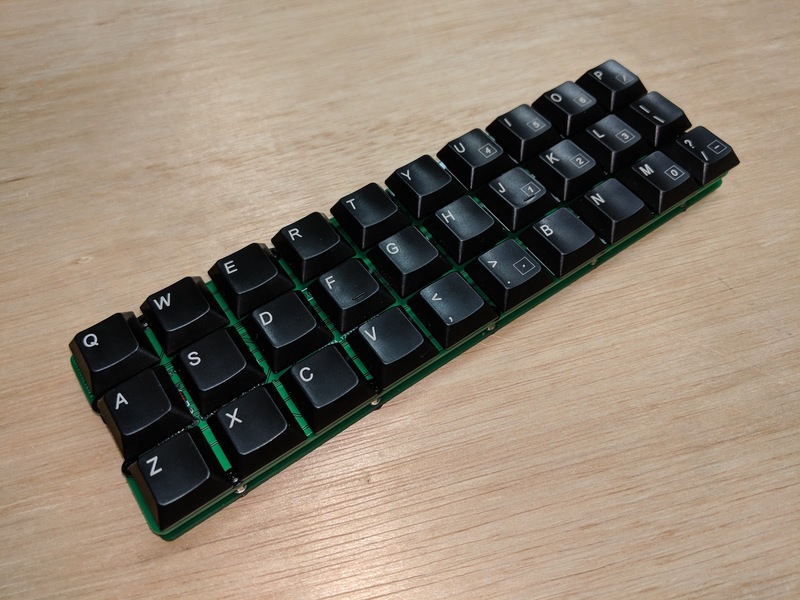 The board is 18mm from rubber bumpon feet to the top of the keycaps. 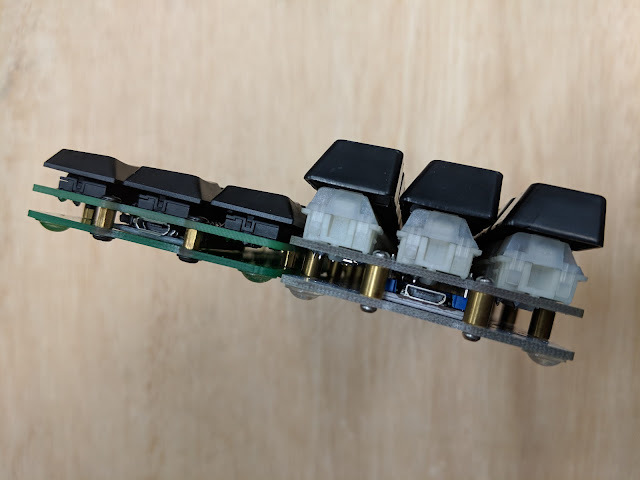 The keycaps and switches were recycled from a Cherry G84-5500LPMEU-2. The Cherry keycaps were designed to be used on an offset switch. The stems are not centered on the switch. 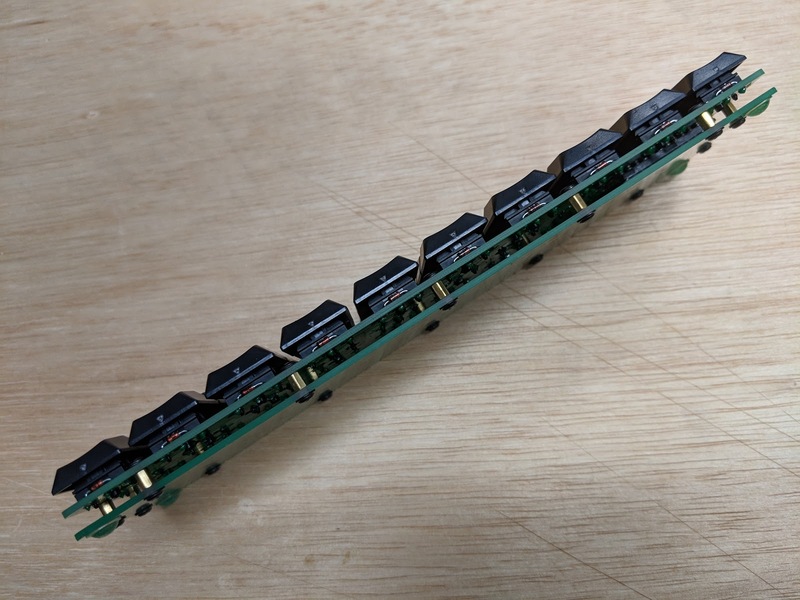 They were also designed for 18mm switch spacing, instead of 19.05mm. This leaves a larger gap between the keys. Bottom piece from the Gherkin Pack. I usually use a second PCB for the bottom. 4mm spacers. 18mm total height. The Pro Micro is the only thing in the way of going thinner. 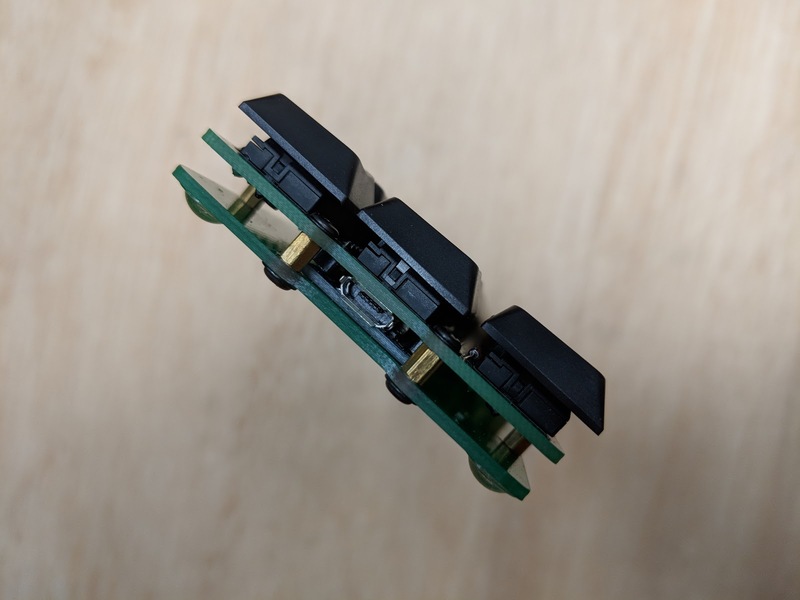 Ultra low profile socket and a 1.2mm thick Pro Micro. 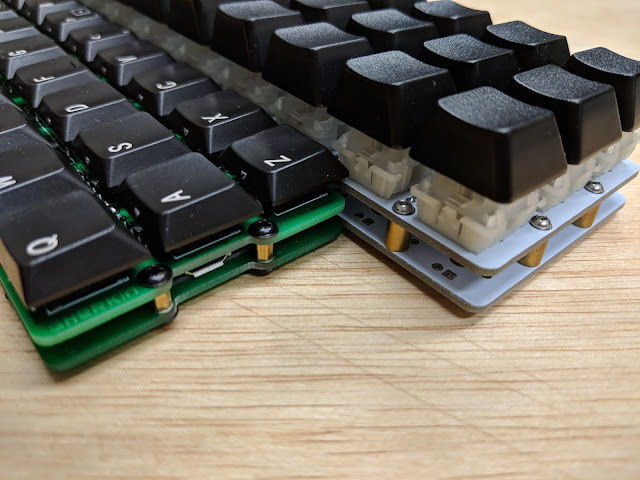 Compared to a regular Gherkin with 6mm spacers.